Earlier today, 19-year-old Colton Harris-Moore aka the barefoot bandit pleaded innocent to charges of interstate transportation of a stolen plane, boat, and gun. His laywer also entered not guilty pleas to charges of being a fugitive in possession of a firearm and flying a plant without a pilot’s license. All together these five charges can carry up to a 43 year sentence in prison. Going back to June… I remember writing a national story on him for a newscast. At the time, did I ever believe he was going to be caught? Of course, sooner or later. Everyday that went by though, I wondered what else he might have up his sleeve. I also had maybe an obvious question we all asked: What in the heck is he thinking!? Grabbed the world’s attention during his two-year international manhunt. According to Herald Net, during the time of his sprees, he met a friend, obtained a fake id and worked at a Reno, Nev. casino doing small jobs. Jumped on rail-way cars to get around the West. According to “The Week” Harris-Moore grew up with his mother, Pam Kohler, on Camano Island in Washington’s Puget Sound. His father walked out when he was 2-years-old. He had a good relationship with his step-father, until his step-father died when he was 7. Police charged him with his first theft at age 12. When he was younger he would spend days sleeping in a forest if he wasn’t in a juvenile detention center. In 2008, he ran away and spent time in a half-way house where he would break into empty vacation homes. He has more than 70,000 fans on a facebook page created for him. People seemed to love the fact that most of his crimes did not involve physically hurting people. There were times when he would break into people’s houses just to shower and watch TV….Perhaps they loved him because he commited these crimes during a time of a recession. Historically speaking people tend to idolize poor people who steal from rich because they believe it is the rich who started it in the first place. Not everyone agreed though: “People have been making him an idol and a hero when he’s hurt so many hard-working people, broken into homes, stolen property, ripped off businesses,” Seattle FBI agent Steve Dean said. “I think it’s very, very sad.” While many suspect those who were stolen from would be angry, the Seattle Times tells a different story. He was finally arrested in the Bahamas after a high-speed boat chase with a stolen boat. He got stuck in shallow waters and police were able to shoot out the boat’s engine. Judging from what you have just read, I’m sure you think Harris-Moore is your atypical burglar. How many burglars do you know who can get away with that many thefts? Although Harris-Moore may have an intelligent mind (of course some will disagree with that statement), it’s very interesting to take a look at how your typical everyday burglars think… or at least what most researchers and psychologists believe burglars think. What’s different in their minds compared to yours and mine? The Independent Study published an article about research done on burglars and they said most burglars return to a home they had broken into before. Only a few believe they are likely to be caught and only a few were deterred by alarms and window locks. Dogs, however, did prove to be a good way to deter them. Researchers found most targeted specific and known homes, as well as “relied on tip-offs from contacts in the insurance industry to alert them to a new source of freshly bought goods.” The homes they burglarized were mostly near home because they felt safe and not out of place in the area. Two-thirds of the burglars interviewed returned to the same home to steal again, and half returned within a month. David Canter, the director of the Centre of Investigative Psychology at Liverpool University, said there are three categories of burglars. “Chancers” are unarmed, unskilled opportunists who only turn violent if provoked. “Creepers” are highly skilled burglars who go to great lengths to avoid confrontation. “Confronters” do not care if a house is occupied, and will use violence. The main reasons given by interviewees for becoming burglars were the influence of friends, boredom and the need to fund drug habits. 57 offenders asked, 34 said that, at its height, their drug use was costing more than $130 per day. Some cited a limited criminal justice system or what is perceived as excessive protection for the offender as a contributing factor behind the motivation for burglars. Another survey of burglars by the Home Office revealed 70 percent of those interviewed were unemployed at the time of the offence, with 41 per cent owing money – most often for rent and electricity and gas. Claire Nee and Amy Meenaghan from the Research Digest Blog interviewed 50 jailed burglars, all of whom had committed at least 20 burglaries in the last three years; half had committed more than 100. “People leave things in the same basic locations…could have done it with my eyes shut”, said one burglar. “…got to be totally focused on outside noises, sometimes sixth sense, the search is automatic”, said another. Two thirds of the burglars described the same search pattern, beginning with the master bedroom and finishing with the kitchen. There was also evidence of expertise in the stereotyped way the burglars reported checking for relative wealth, occupancy, access and security when selecting houses to target. From this research we can tell burglars seem to be pretty calculated people and driven either by habit or to feed an addiction. 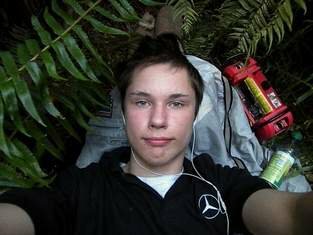 As for the barefoot bandit not much has been put out about his personality, except his troubled childhood, and how he justifies his thefts. Some speculate he could have antisocial personality disorder or even a more severe disorder. However, the complexities of his personality makes it hard to tell by someone who hasn’t been in direct contact with him. There are a few who have examined how he led his crime spree and what that says about his personality. Many answered if they believed he would grow up/or already is a violent individual. According to AOL news, Shauna Sndyer, a private investigator and paralegal in Washington State, has helped Harris-Moore as his defense in the past. She doesn’t believe he will grow up to be violent at all. Rumors had flown around that Harris-Moore has stolen an AK-47 from a police car. Snyder put that rumor to rest. She’s isn’t the only one to believe this. Harold Copus is a former FBI agent who has worked hundreds of violent crimes over the years. “This is not a guy who will turn to violence,” said Copus, who heads up Copus Security Consultants in Atlanta. “This is a guy who loves thumbing his nose at authorities. He’s not really done anything that is more than just the average garden-variety crime. If I was a victim of that, I would probably take offense to it, but really that’s what you get down to. One last interesting aspect to look at is how he appears hunched over in the pictures after he was caught. KIRO Radio’s Linda Thomas spoke with a body language expert. Wood says you can read an “incredible amount” about someone’s personality based on a still photo. She points out Harris-Moore also has a lack of eye contact, which indicates he’s ashamed of his crimes. Before I go, just in case you were wondering… here’s a look at statisics so you can get an idea of how often burglaries occur in the U.S.
Property crimes — like larcenies, burglaries and auto thefts — declined broadly across the country in 2009, headlined by a 17.2 percent fall in reported motor vehicle thefts. Other major categories were down much less sharply, with a 4.2 percent fall in larceny-thefts and 1.7 percent fewer burglaries reported. The FBI looked at cities with populations over a million people. These cities reported the largest decline in property crime. There was a 7.9 percent drop overall, including a 21.1 percent falloff in reported motor vehicle thefts. If you are interested more in this subject, read “13 Things A Burglar Won’t Tell You” from the Reader’s Digest. Or click on over to the blog that was dedicated to catching Harris-Moore.